Marriage counselling for all couples [including LGBTQIA] provided by Perth Counselling, WA. With Imago Therapy I'll help resolve your relationship issues. Contact us today. Name importance made clear. Chapter 11. Perth Counselling, WA offers you a personalised, friendly, safe space for you to heal and make sense of trauma and relationship stress with practical services tailored to your individual needs. We have facebook pages for marriage couples. The business Broadening Horizons also hosts DEstress retreats or you can book into the Bnb accommodation for your own healing getaway chill time. 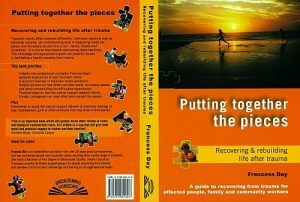 Perth Counselling, WA's Director & Counsellor Francess Day was a pioneer in community education about PTSD in the mid-90's. She set-up the first community-based support group for people recovering from traumatic stress; recruited participants using radio and written media, and facilitated the groups. Community TV station Access 31 created a 30 minute documentary where Francess Day spoke about PTSD. It was replayed a number of times over subsequent years and sold to organisations for training purposes. She also wrote articles for newspapers, organisation magazines; organised and presented at public forums, was interviewed on Ch 9 news for Mental Health week; and developed and provided training for all kinds of professionals around the state. She published her first self-help book "Putting together the pieces" (2002). The Support Groups still run when enough people can be gathered together. 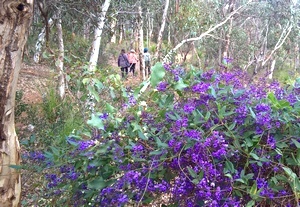 Perth Counselling, WA support groups developed into the current individual and family counselling services, critical incident debriefings for organisations and training in this area. 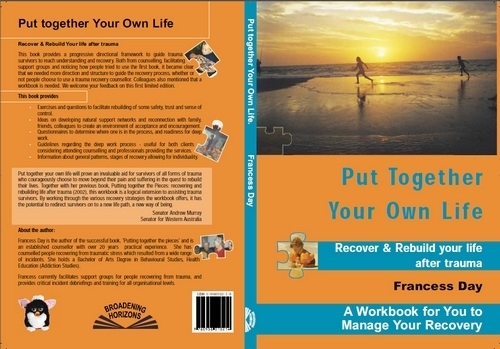 From all this experience and ongoing training, Francess Day's self-help workbook “Put together your Own Life” was published in 2004. Research illustrating the lived practice of trauma therapy by 22 experienced West Australian therapists from diverse professions earned Francess Day her 1st class Honours in Psychology in 2009. A copy of the thesis is available for a small fee. Preview Thesis Abstract, and Extracts of the Findings and Summary. 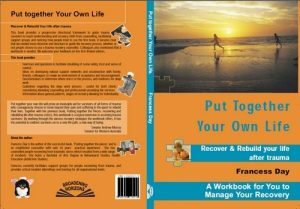 The Research explored what experienced Trauma Therapists found most effective when working with trauma clients and the findings validate much of the “Put together your Own Life” workbook material. Francess Day completed Intensive Training to provide Imago relationship counselling to couples and parent-child pairs, plus trauma and general counselling at a shared practice at 162 C Rokeby Rd, SUBIACO and Greenmount.